Here is my 25th plugin : A modern 3x3 city hall from Lons-le-Saunier , France . It is mainly based on the real building , but i removed one floor and i put a small park in front. 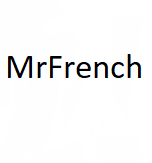 It was suggested by Mr.French on Discord . It has a influence of 125 management and 25 park .It cost 13 500 Theons . 大家好，我是一名来自中华人民共和国的中国人，我可以翻译这个插件到我们的社交平台上吗？并且我会保证会让他们知道这是你的插件，我只是翻译的，可以吗？如果你需要反馈证明我可以在发布页截图给你。Hello, everyone. I am a Chinese from the People's Republic of China. Can I translate this plug-in into our social platform? And I will guarantee that they will know that this is your plugin. I just translate it, OK? If you need feedback, I can give you a screenshot on the release page. I've added text, but it's Chinese.